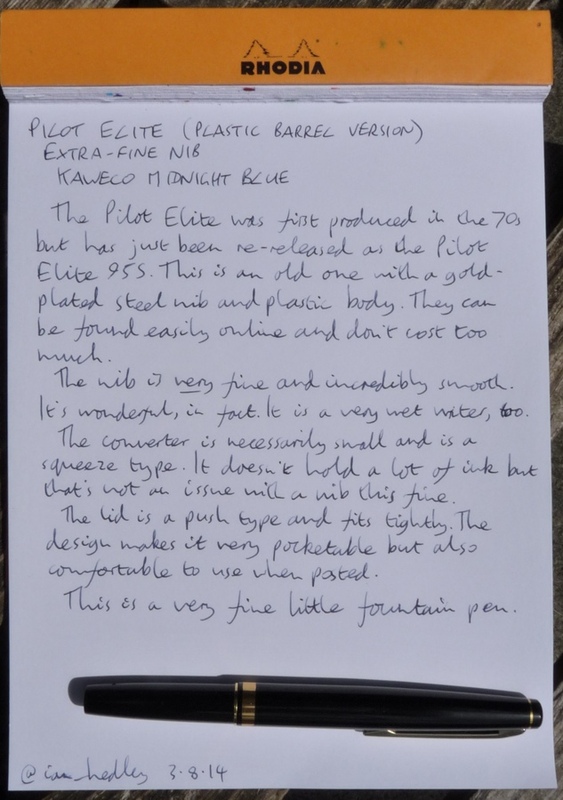 Pilot Elite fountain pen review – Pens! Paper! Pencils! 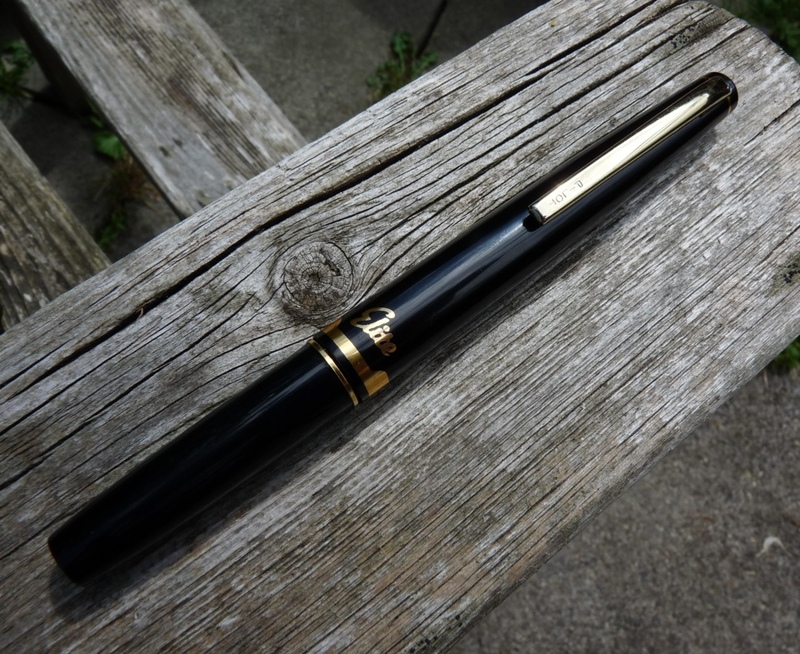 The Pilot Elite is a vintage fountain pen that can be easily found online. 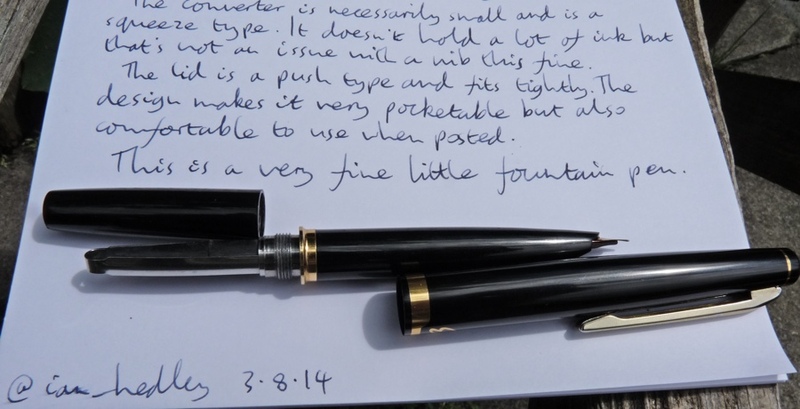 It was first produced in the 70s and was available in a posh gold-nib metal-barrel version and in a non-posh steel-nib plastic-barrel version. This is a review of the non-posh version. Pilot have also released a new version that can be found at all your favourite pen retailers. 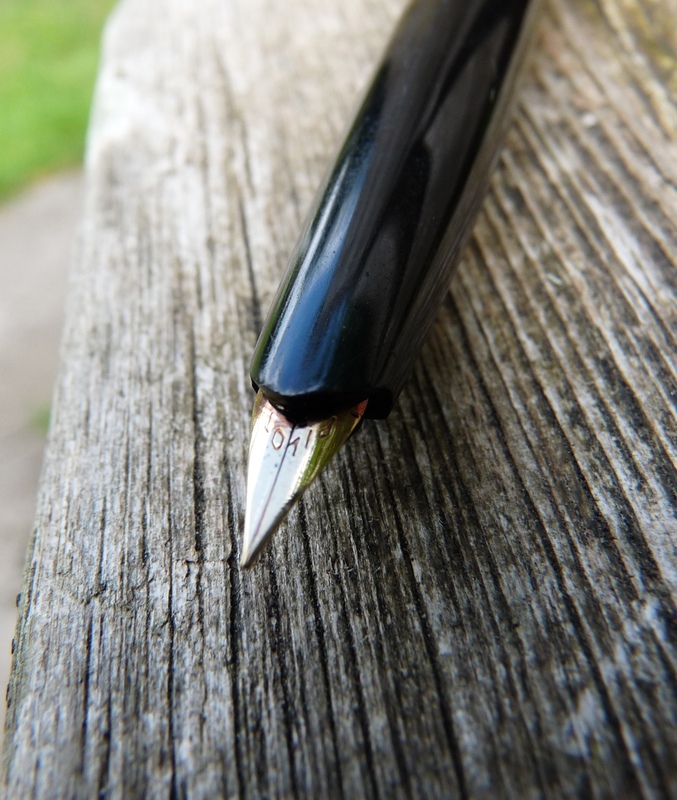 The defining feature of the Pilot Elite is the Kaweco-like big cap, which works in a similar way to transform a small sized capped pen into a reasonably sized posted pen. The cap really is very long and so posts and closes securely. As you can see, the it’s almost as long as the pen. but a long slender very comfortable pen when posted. This pen has an extra-fine nib and it really is very fine indeed. It is also incredibly smooth and very wet. 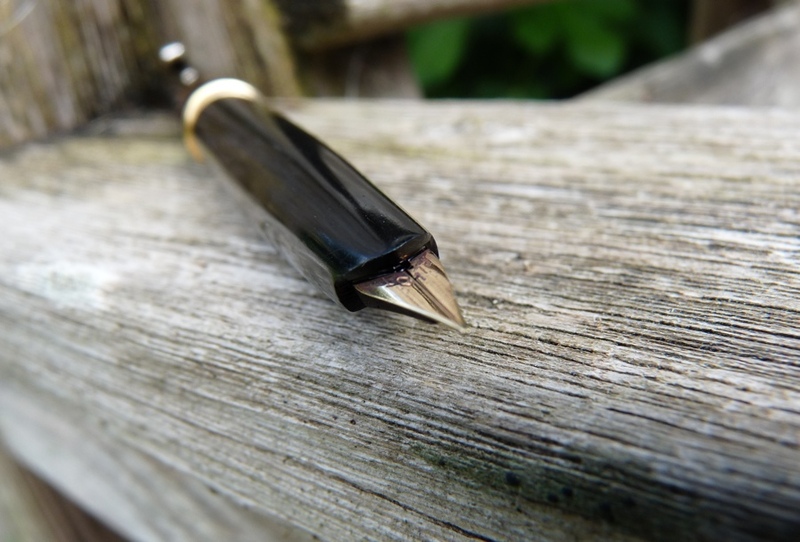 It goes to show that Pilot’s ability to produce amazing nibs at reasonable prices goes back a long way. It’s gold-plated stainless steel and has minimal adornment. The Pilot Elite comes with a still-standard-for-Pilot converter which holds a decent amount of ink for what is essentially a pocket pen. It looks as if it would be small but in fact it disappears deep into the section and is the same size as other Pilot converters. The clip is a very plain and uninspiring but reassuringly clippy. The barrel feels like the cheap plastic that it is. 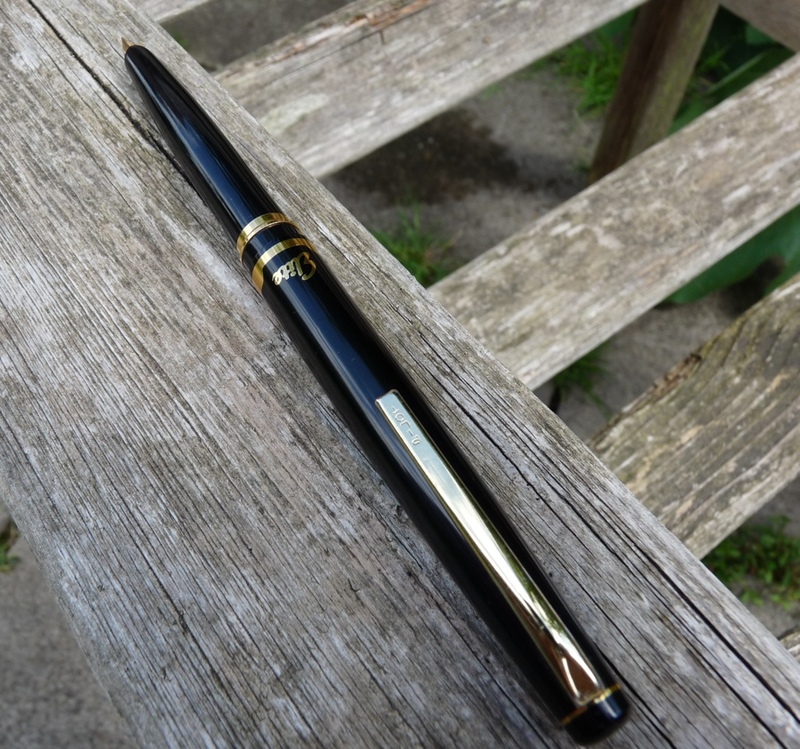 The black and gold finish of this particular pen isn’t really my cup of tea but may be yours. The nib, however, is sublime and the price of this version is very reasonable. 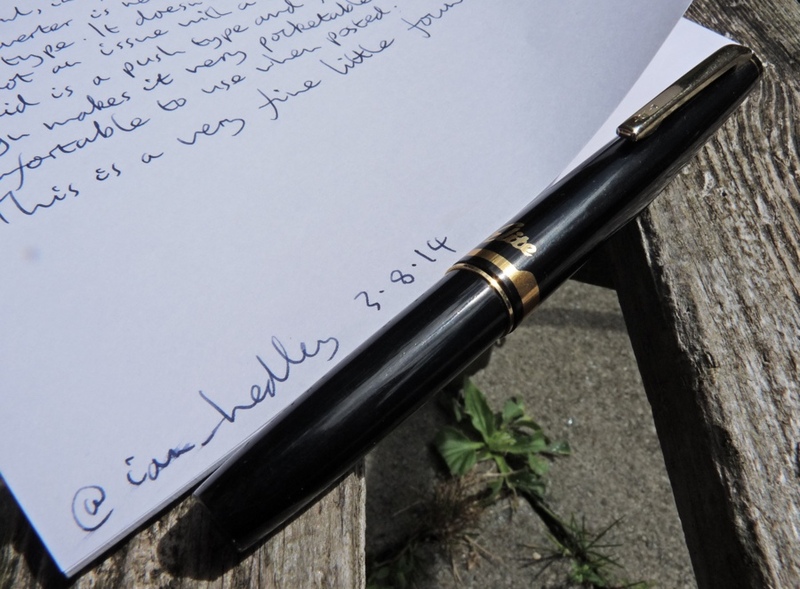 The Pilot Elite is an interesting little pen that’s lovely to write with. Thanks for a very interesting review of this pen. Sorry I am only commenting now, but I have only recently discovered your site. Can you tell me where you got this pen online, as I am interested in acquiring one. 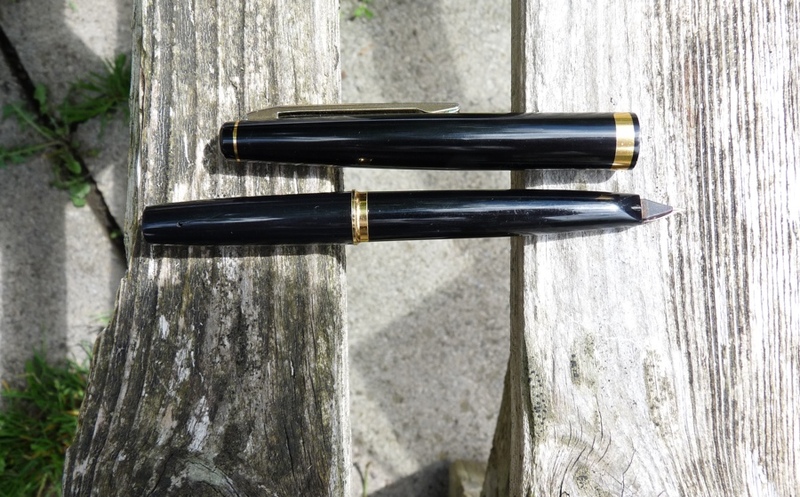 I have a modern Pilot Vortex, which I can recommend (in both the fine and medium nib versions), and fine nib version of the Pilot Elite 95S, but am keen to acquire some vintage (1960s and 1970s) Japanese pocket pens (from any of the big three manufacturers in Japan) as I really like them for daily writing. Any help or guidance that you could proffer would be most appreciated. Best wishes. Hi Chandon. I bought this from Ebay as new-old-stock. I can’t remember what I paid but it wasn’t very much. The metal barrelled gold-nibbed versions are very pricy, however. Your reviewed Elite is a Korean version. That nib was not present in Japanese Pilot pocket pens. They are two different companies. The Korean pays the Japanese for the use of the name, and their products cannot be sold in Japan. Now and then they share parts and models. Ah, thank you for letting me know! I knew that there were two different companies but it didn’t even occur to me that this might not be the Pilot we all know. It’s funny because it’s the nib that keeps pulling me back to this pen.